A doll is a figure of a human being (or sometimes of an animal) used most often as a children’s toy, in magic and religious rituals. There are documents that prove that dolls were use in Ancient Egypt, Greece and Rome. They were made from materials that were available like clay, stone, wood, bone, ivory, leather or wax... There is also archaeological evidence that dolls were oldest known toys. Wooden paddle dolls are one of the oldest dolls found. They were discovered in ancient Egyptian tombs that date from 2000BC. Their purpose is not entirely clear. Ancient Greek dolls with articulate limbs date from 200BC and documents from 100BC show dolls as children’s toys. Romans made dolls from clay, wood, ivory or rags. They were found in children’s graves dressed according to the latest fashions. Newly wed Greek and Roman girls would give their doll to Goddess. Some dolls had multiple roles. They were children's playthings but they would also participate in rituals or used in children's education. 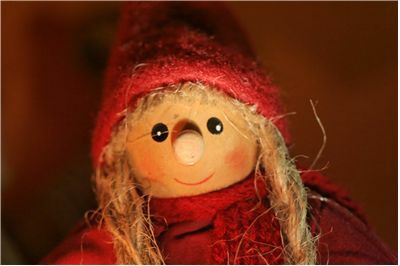 Some dolls were never given to the children because it was believed that they are too charged with magical powers. African dolls were methods of education, messengers of gods and ancestors and ritual tools. 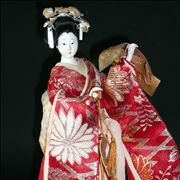 Japanese traditional dolls have long history. They originate from time of ancient Jōmon culture (8000-200 BC). They also had multiple roles and were also used as toys, for protection and in religious ceremonies. 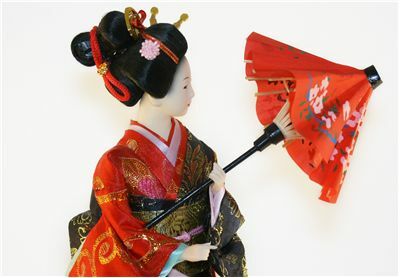 Some of the Japanese traditional dolls are hina dolls, Daruma dolls and Kokeshi dolls. 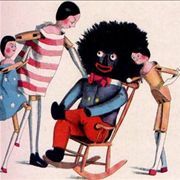 Effigy as a method of performing magic was well known in African, Native American, and European cultures and some of the examples of effigy dolls were European poppet and the nkisi or bocio of West and Central Africa. They often represented persons on which the spell is cast. Sticking pins in voodoo dolls is characteristic of African-American Hoodoo magic while kitchen witch,a poppet originated in Northern Europe, was used as a method for bringing good luck. Hopi Kachina dolls are similar in purpose to African dolls because they too are methods of education, messengers of gods and ancestors and ritual tools. They were meant to be treasured and studied, in order to learn the characteristics of each Kachina which are messengers of gods and bringers of good luck. Dolls are with us for thousands of years. They had many purposes - from protection and magic to religious roles and entertainment. Here you can read more about doll history. 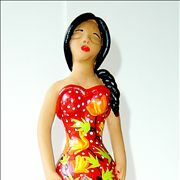 Doll market is wide and doll trademarks are many but behind every doll model is a story of how it came to be. 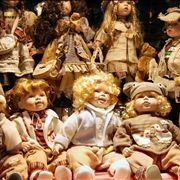 Read more about history of famous dolls. Not all dolls are the same and for every type of doll something interesting can be said. 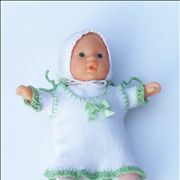 Find out many interesting doll facts and information. 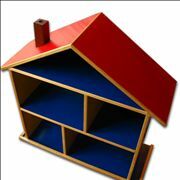 Although dolls and dollhouses are mainly toys, today they also collectable items that can reach very high prices. 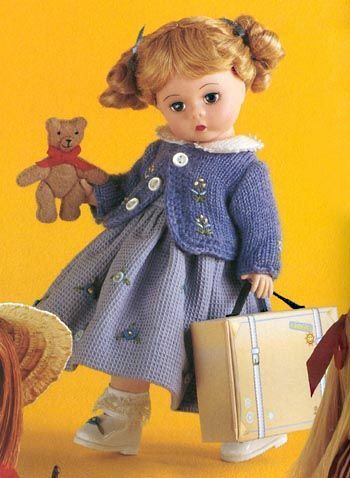 Find out more about famous dolls and why are they famous. Inuit dolls are made from soapstone and bone and dressed in fur. Apple dolls are dolls of North Americans which had heads made from dried apples. Corn husk dolls are also but they are made from dried corn husk. Corn husk dolls traditionally don’t have faces. Pennywoods are carved wooden dolls and rag dolls made by settlers. Matryoshka dolls are Russian dolls designed in 1890. They are made from set of similar doll that are hollow and can be put inside each other. They are painted on the outside and varnished. Paint on the outside usually follows the same theme, from fairy tale characters to Soviet leaders. Largest Matryoshka is usually a woman while the smallest is a baby made from a single piece of wood. Clay dolls were made in Germany in 13th century and wooden in 15th. 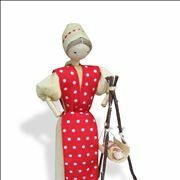 France of the 16th century made doll with fashionable clothes but of the simpler design. Peg wooden dolls appear in Germany and the Netherlands in about the same time. Until the 19th century, wood is the main material for doll making in Europe. Interesting information is that glass doll eyes were mainly brown until the Victorian era (beginning of the 19th century) when Queen Victoria inspired popularity of blue eyes. With the beginning of the industrial era, methods of manufacturing change. Dolls heads are made of porcelain (glossy and matte) and attached to bodies made of leather, cloth, wood or composite. 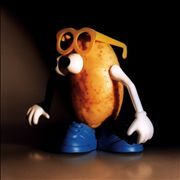 When polymer and plastic materials were invented in the 20th century they started being used in manufacturing of toys. These materials were cheaper, easier to work with and lasted longer. Because of that dolls were more affordable. Paper dolls were also made at that time. They were cut out of paper or thin card with clothes also made from paper. Clothes were made to reflect modern fashion of the time. Paper dolls that represented famous ballerinas were also the first celebrity dolls. One of the most successful celebrity dolls of the early 20th century were paper dolls of Shirley Temple. Stuffed toys appeared in 1880. They were made of plush fur-like fabric unlike ragdolls which were made from simpler fabric. 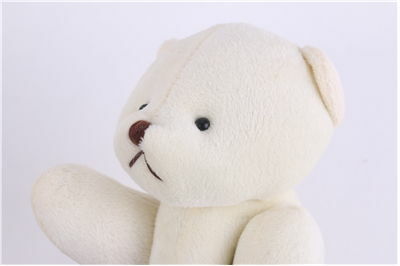 Teddy Bear was manufactured for the first time in 1902 -1903. Black dolls are dolls made to resemble dark-skinned persons. Fashion dolls appeared in mid-19th century and were made from bisque porcelain. 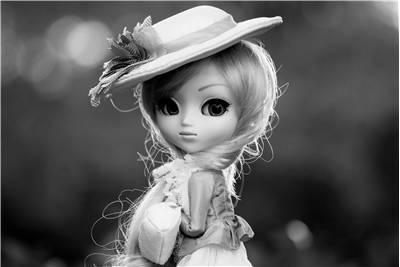 Main idea of the fashion dolls was to present modern fashion. The first Barbie appeared on the market in 1959. Competition to Barbie doll appeared in 2001 in the form of Bratz. Action figures, doll toys marketed toward boys appeared in 1964. Bobbleheads are collectable dolls which were first made from paper-mache, then from porcelain and then from plastic. They have characteristically big head which is connected to the body with spring or a wire so the head bobbles when it is touched. At the beginning of 1990s begins era of customizable dolls. 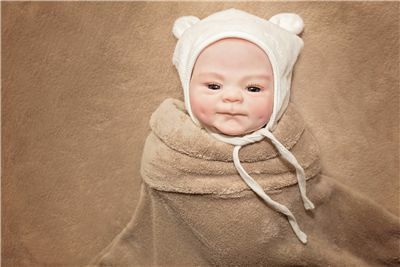 These dolls are reborn dolls and Asian ball-jointed dolls. First one are made from vinyl and made to look as closely to human babies as possible while second are much more stylized and inspired by anime but very articulate and poseable. 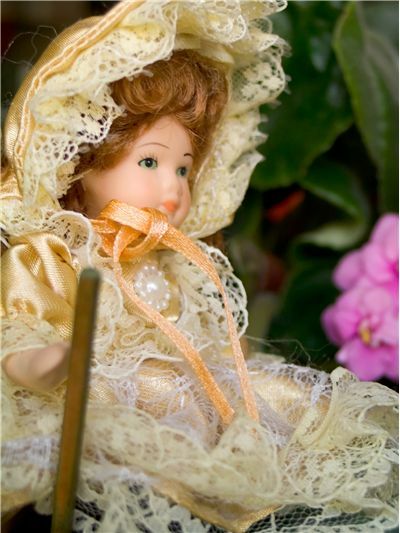 Today, there are many different types and varieties of dolls for different purposes.